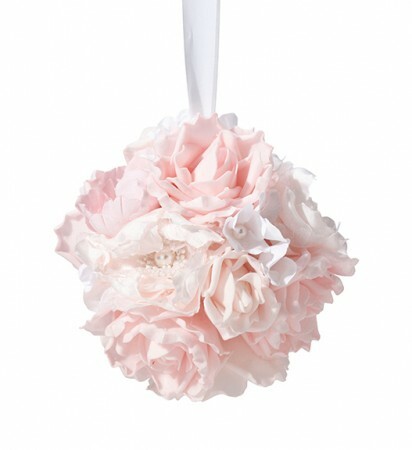 This 5.5 inch blush pink flower ball is filled with soft foam blush and pink flowers. Some flowers have a pearl or rhinestone decoration in the center. It can be used in place of a flower basket for the ceremony and as a reception decoration. A sheer ribbon is attached.